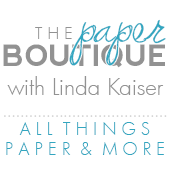 The Paper Boutique: Cathy’s Birthday Bash Blog hop…… Let’s Talk Turkey! Cathy’s Birthday Bash Blog hop…… Let’s Talk Turkey! Welcome to Cathy’s Birthday Bash blog hop and Happy Thanksgiving! If you've come from visiting Cathy’s blog, Crafting with Mimi you're in the right place! I am also excited to announce that I am giving away a Snowman’s Prayer Stamp set thanks to Robin at Robin’s Creative Cottage. To enter, you need to be a subscriber/follower of my blog. You can sign up over on the left side of this blog (if you are not there already). Just leave a comment on this post and the winner will be announced on Monday November 28th. Here is the card I created for Cathy’s birthday! I wanted a fun birthday card combined with a Thanksgiving theme. 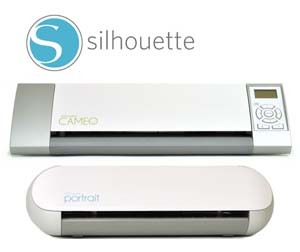 The outside of the card measures 4 ¾ x 6 3/8 inches. The turkey and layers are from the Create A Critter Cartridge and are cut at 3.66 inches using my Gypsy. I hand cut a band and square for the hat and added a sentiment using Word. I got the idea from the Fantabulous Cricut Challenge Blog and modified the card to make it a fun birthday card! I used a punch for the border and added some white faux stitching. For the inside of my card, I used Word for the sentiment. DCWV " Celebration Stack "
Your next stop is Creations by Shirl. When you're done, stop over and wish Cathy a happy birthday and join the linky party! Hope you are having a Happy Thanksgiving! very fun and colorful card. Lovely! This is a really fun birthday card. The turkey on this cart is my favorite turkey. love all the papers you used to make the turkey - great job! I love your card! It's just adorable. I am a new follower and am looking forward to seeing more of your cards. Thanks for sharing. The turkey is just adorable! How stinkin' cute is that??? I love your patterned papers - they just make this turkey! What a fun idea for a card sentiment! Your turkey looks terrific and the papers are fabulous - inside and out! Happy Thanksgiving to you and yours, Linda! What a color card! So cute. Good Golly Gobblers he's so cute. I LOVE THIS TURKEY CARD! When I was a kid my brothers would always tease me and call me a turkey, so this is perfect! Thank you! Love it! That's a very cute card. I love the papers you used on your turkey. I love that card and I watch all your videos. They are very helpful. I am a subscriber. Love your card and a great way to combine Thanksgiving and a birthday. That is such a cute card. Thanks for the chance to win a great stamp set. Happy Thanksgiving Linda! I love your blog and always look forward to your updates. What a adorable card~!I LOVE the colors. Thanks for sharing love. Happy Thanksgiving~! Linda, your card is too funny! Have a wonderful Thanksgiving! This was a cute fun card for Cathy's birthday. You are very clever!! Thank you for a chance to win the stamps. Would love to have these. great card! I love your blog, love the smashbook! Love your card. Love the stamp set too! Love the card very cute! Would REALLY love to win the stamp set, it is awesome, I keep trying. I guess I'll just have to buy it soon if I don't win it. The background on your card looks like a beautiful handmade quilt. Love the turkey and all the bright papers you used. Oh I am in trouble now! I just love your turkey birthday card! And the papers! I just went on to Joanns website and ordered the paper pack! Amazing card, my friend! Such an ADORABLE card!!! LOVE the sentiment!!! This card is so cute! Need to get out that cartridge. Love the dapper turkey. What fun!! Happy Thanksgiving. Love that little turkey. Very cute card. Thanks for he chance to win Robin's stamps. Very nice card, I love the paper background:) Hope your thanksgiving was wonderful. So cute! Love your background too! TFS! What a fun Birthday card ! TFS abd Happy Thanksgiving! Happy Thanksgiving! Love your card! The stamp set up for grabs has adorable sentiments!! Thanks for a chance to win!! I am a subscriber to your blog via email! Love your cards look fun and it pretty! That turkey is so cute, and perfect for today. I've had fun looking over your blog and have enjoyed it. Such a cute card! I am a new follower and look forward to seeing more of your creativity! Such a cute card! Love your paper choices! Very cute and fun card! Great way to use one card for two occasions. The stitches around this card is my favorite. I like the color you have selected for your project. Love your card all the fun colors and papers it is adorable! Your turkey critter birthday card is absolutely adorable. Nice choice of papers, too. Love the colors you used in your turkey card. Love you card, but especially love the stamp set. What a clever idea and very useful. Thanks for your time and talent. such an adorable card...Love the background paper u have used. I'm sure Cathy will love her card ! p.s. I am now A Follower here. So bright and cheery. What a great way to say "Happy Birthday!" Happy Birthday Cathy!! Cute card and the stamps look soo fun!! Love the card and a new follower. Fantastic card! Thanks for sharing your ideas and talents with us. Cute card. Must get that cartridge. Happy birthday to Cathy! Your card is adorable! Just love your beautiful and colorful turkey birthday card!!! This turkey card is just to cute Linda!! I love his sign but it is the sentiment inside that is so cute! This is such a fun card!! Love the colours!! So cute! GREAT card. Love it. New follower, here! That's a great idea to combinr the card. I just love these stamps. They look great. Adorable turkey! Thank you for the giveaway! Very cute and funny birthday card! I am a follower. 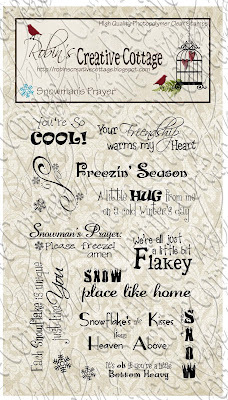 Snowman's prayer stamp set is super cute! Thanks for the chance to win. Cute card. I love that turkey! It's one of my favorites.